It's challenging to specify the right materials and assemblies for a commercial roof system to satisfy a building's specific performance and safety requirements. Even with design considerations in place, existing resources for finding applicable roof assemblies are limited in scope, functionality, and can feel disconnected from the supplier companies. These fundamental challenges gave way to an initiative to create a solution to empower consultants, architects, building owners, and code officials with a better way. 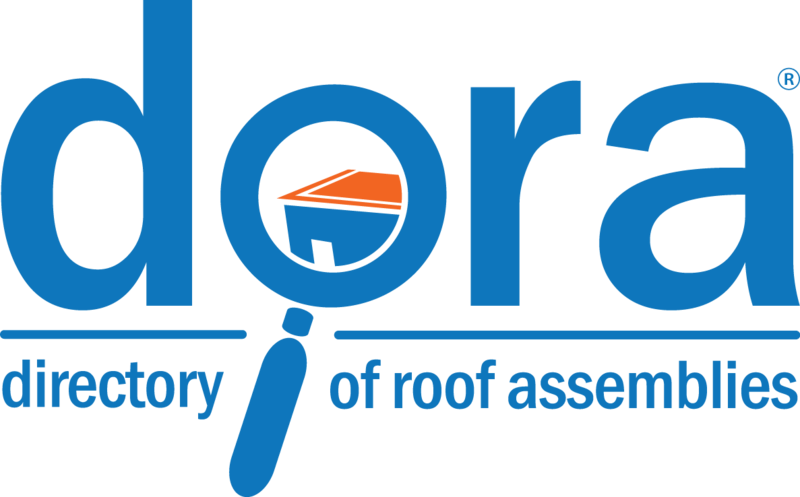 The Directory of Roof Assemblies (DORA) is a web application database of roof systems tested in accordance with standards referenced in Chapter 15 of the International Building Code (IBC). This service lists wind uplift load capacity on single ply and modified bitumen roof systems. Assemblies may be easily searched, viewed, saved, and printed. DORA is sponsored by SPRI and administered by Intertek. DORA works through the voluntary participation of industry companies. Assemblies are created and submitted by participating companies and are accompanied by supporting documentation in the form of third-party validated test reports and qualified evaluations. Submissions are reviewed and verified by Intertek. Components in DORA assemblies are manufactured at plants that are required to supply evidence of successful product quality control through independent product inspections. Assemblies are kept current and valid through regular mandatory reviews. Each assembly is timestamped at its most recent revision. Prior versioning is available upon request. DORA provisions a formal appeals and challenge process to facilitate impartial handling of data. SPRI is a collection of commercial roofing industry experts dedicated to providing an open forum for discussion, education, and innovation. DORA was developed through a consensus approach and SPRI is responsible for the establishment of the program’s policies and procedures. Intertek is a global provider of assurance, testing, inspection, and certification solutions. Intertek administers DORA in accordance with its policies and procedures and is responsible for developing and operating the web application database technology.